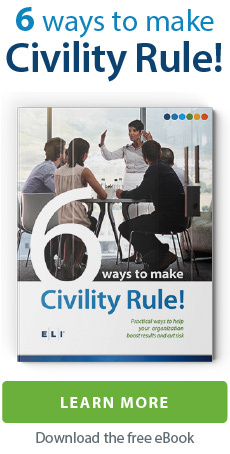 It’s relatively easy to get everyone nodding in agreement in a classroom setting, but a lot harder to achieve real, lasting behavior change – especially when it comes to workplace civility. People learn best when they can experience what they’re being taught. You can’t just hear about it. It has to be modeled and put into context. You have to role play the scenarios and the training has to be interactive for employees to learn the lessons thoroughly. Everyone does better in difficult like this if they’ve already practiced what to do in the safety of a training simulation. People need an immersive training experience that puts them in simulated situations that they may face in real life. Immersive training allows participants to actively learn the material versus merely listening to a lecture. In many ways, it’s the difference between sitting in a classroom and stepping into a flight simulator. Instead of verbally being exposed to principles and concepts, the participants learn by doing. The only difference between this kind of immersive training and real life is the safety of the simulator and the guidance of their facilitator. Active learning creates an entirely new level of retention. You don’t attend immersive training – you experience it. And that’s why you never forget it. The scenarios and situations that create risk for your organization are complicated and dynamic. There is not a clear cut set of actions or behaviors that happen in a linear format. It’s live and changes depending on your response. Immersive training creates very real, very relevant workplace situations where team members have to make quick assessments and decisions with limited information at hand. During these workplace simulations, they will be challenged by colleagues, cross-examined by attorneys, and interviewed by reporters. 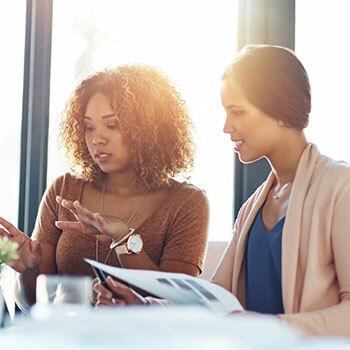 An immersive training experience allows employees to experience these tricky situations first hand and see the consequences – good and bad – in real time. With traditional, lecture-based training, you cover the material once and then move on. There might be a small amount of review but rarely does it go in-depth. The problem is, if you’re only exposed to these new skills once, you probably won’t remember them all. Especially six months later when you’re under pressure to meet a deadline, haven’t got time to think, and you just happen to overhear an inappropriate comment by your boss to the new intern. Immersive training creates space and time to practice the skills that your team is learning. It’s not enough to hear it and try it once. Time should be provided to run through the same scenario several different ways, with employees swapping out roles. Experiencing the consequences of the decisions multiple times and from different perspectives is an effective way to drive home the lessons that the training was designed to cover. There’s a tug-of-war between the values your organization says they stand for and the everyday experiences of people who work there. And you can’t just solve this with generic classroom training. It takes innovative methodologies and immersive interactions. That’s what works at work.